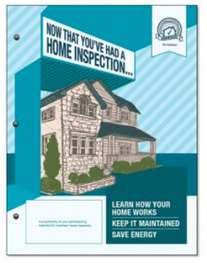 are you in need of a home inspection ? "Helping You To Buy With Confidence"
YOUR HOME IS THE BIGGEST INVESTment YOU WILL EVER MAKE. Thermal imaging included Free with all standard home inspections. Don't let any issues go unseen in your new home. Scott Ruttan at Pro-Spec Home Inspections handled my home inspection and I couldn't have chosen a better inspector. Scott was extremely flexible in scheduling times, even agreeing to do the inspection on the weekend. The prices were great especially considering what is included. Scott was prompt in arriving and couldn't have performed a more thorough inspection. He did a full exterior inspection including foundation, siding, environmental issues (rain, trees, grading). Scott even climbed on the roof to assess its condition. Inside, Scott covered everything. Every outlet was tested, all water conduits were checked for leaks. He did a full electrical assessment to include inspecting the entire crawlspace. Scott assessed the condition of the heating systems and utilized thermal imaging technology to spot potential issues. He answered every question we had and gave suggestions on repairs. The final report was comprehensive. You simply cannot choose a better home inspector. Highly recommended. First time home buyer and I don't typically do reviews but I will gladly post one here after meeting and dealing with Scott. I received Scott's name from another source and was told he was very reputable, before contacting him I did read the the reviews, which I take reviews with a grain of salt, but after meeting and dealing with him I couldn't be more impressed considering the horror stories/ experiences I've heard other people have endured with other home inspectors in the northern New York area. When we first talked Scott informed me that the inspection would be for us "the home buyer" and he came through in a big way. Scott was all for me following him around and asking questions, which he took his time to explain thoroughly in a way that I understood. He never seemed rushed or in a hurry to get out the door, he made sure we were satisfied before we called it a day. In person and communication over the phone/ through email was always informative and very respectful. This is a long review and take it for what it is, but I'd recommend Scott for sure. Again, couldn't be happier and more appreciative of the job he did. It was a sense of relief, feeling and knowing that he was there to do his job the best he could and make sure your new home/investment was in good shape or you at least knew the issues that you will need to deal with. I now feel confident with the investment I am about to make. Thanks for everything Scott. ​JEFFERSON & LEWIS COUNTY HOME INSPECTion service.